Vice President Constantino Chiwenga is back on his feet and yesterday attended a prayer meeting at his rural home in Hwedza where he took people down memory lane explaining how he joined the liberation struggle. Chiwenga kept the crowd in stitches with his liberation struggle account. After he was introduced by Minister Perrance Shiri, Chiwenga took to the podium and greeted the crowd with a thunderous Zanu-PF slogan. He revealed that he crossed into Botswana in the company of Perrance Shiri and two other cadres. "In his introductory remarks VaMangwende (Minister Shiri) is deliberately omitting that we were together in all the 'crimes' that we have committed," he said in jest. "He is now presenting himself like a good boy. Vokanganwa kuti pagan'a pavakachera mbambaira dzemagoko taive tese. Kana patakaviga zvikabudura taive tese. Zvese zvavataura taive tese." This was after Minister Shiri introduced the Vice President by way of a narration of his liberation struggle history and how he led Operation Restore Legacy that led to the resignation of former president Mr Robert Mugabe. "We were four when we left for the liberation struggle. When we came back after the war, we were three. One of our colleagues, Ernest Mandizvidza, died during the war. Shiri, Huchu and myself we came back to bear testimony on how we fought the war. "In 1978 we passed through this area, but all the people here failed to recognise us. The history of the liberation struggle is long. Many people lost their lives, but what is more important is that we now have a Zimbabwe that we want." 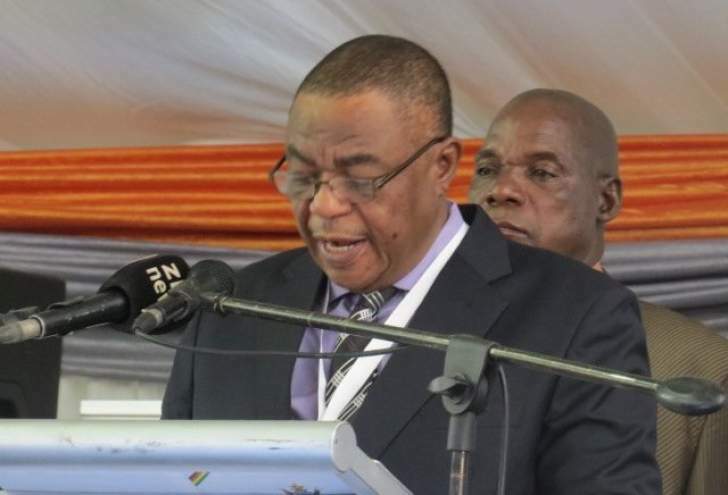 Chiwenga urged people to remain resolute and focused as Government implements measures to rebuild the economy. He said President Mnangagwa, who was supposed to be the guest of honour at the event, would visit the province at a later date to thank the people of Mashonaland East for voting for Zanu-PF resoundingly. Tino Machakaire, who is the legislator for Hwedza South where the VP comes from, said: "We are happy that the VP has come to see us here. His visit has put to rest all the social media speculations about his health. "As the legislator from this constituency, I am taking President Mnangagwa's message of development seriously. When I was elected as the House of Assembly member for this constituency, we had around 200 boreholes, but so far we have drilled over 100 boreholes more. "Most of our parents here lost their cattle due to various livestock diseases and we are constructing more dip tanks to control the diseases. "We presented that problem to Minister Shiri as we drift towards the farming season and he promised to assist us in every way possible." Machakaire urged Zimbabweans to support President Mnangagwa in his efforts to build a better Zimbabwe. He said unity was of paramount importance if the country was to achieve middle income status by 2030.